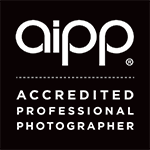 Adelaide Hills Professional Photography Studio providing a high quality, affordable service. We are a full-time studio producing elegant, timeless photography and memorable hand-crafted wedding books for clients with high expectations. Robert's first encounter with photography was at around the age of eleven, with a Kodak film camera. It sparked a passionate interest in creative photography that he still possesses decades later. At high school, Robert was eager to learn more about the art, and studied photography and film developing as an elective subject. With a much better understanding of the basics, Robert upgraded to a 35mm (film) camera and an external flashgun. In his late teens, he was accepted into The University of Adelaide where he studied Music, Drama, Media and Film technology. It was at this time that Robert purchased his first SLR film camera and Super 8 Movie Camera, and began shooting weddings, portraits and events. After graduating with a Bachelor of Education Degree, he took up a teaching position at Thomas More College in South Australia, where he remained for 9 years. Robert is a full-time Accredited Professional Photographer, and has photographed and filmed many special events over the years. His fastidious nature and meticulous attention to detail, together with his award winning artistic creativity endows him with unique, elegant and contemporary photographic skills.